MMI GROUP has been selected by the Embassy of the United States in Ukraine and by the Ministry of Internal Affairs of Ukraine as the joint participant in international project of the technical support “Creation and development of Ukraine MIA patrol Service”. Body-worn camera for police and law enforcement – is a video recording system that is typically utilized by law enforcement to record their interactions with the public or gather video evidence at crime scenes, and has been known to increase both officer and citizen accountability. Full charge time 120 min. Full charge time 210 min. Playback Browse data on phone via WiFi, live streaming. 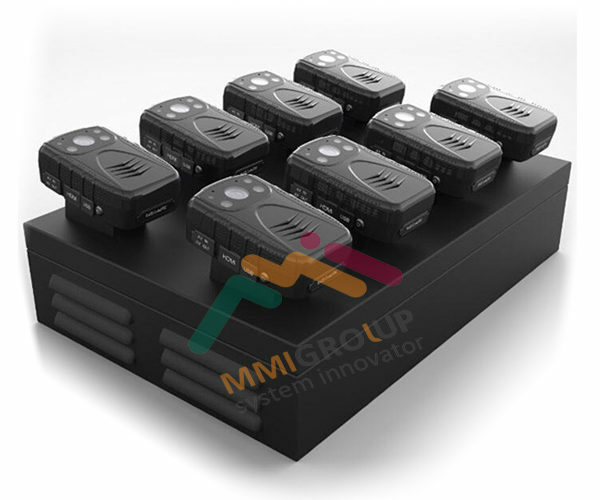 Unit for charging and data copying DMT8A is the latest charging and data uploading device, which can connect up to 8 cameras, via USB3.0 port, compatible with the most of police body cameras in the market. 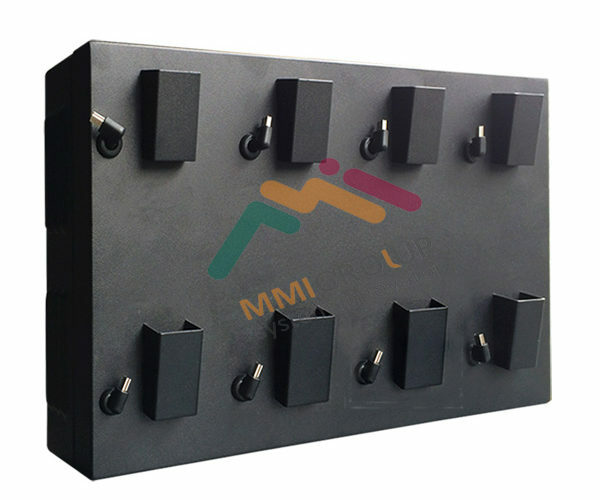 In addition to total power of docking reach 120 W, each port can provide up to 2.0A of self­adaption current, according to the connected devices. Users only need an office computer, without cumbersome wiring. It features multi-device data collection and charging. All-metal structure, durable and tough. Fully compatible with USB1.1, USB2.0 and USB3.0, plug&play. With overload voltage and instantaneous current protection. Each port provides up to 2.0A current. 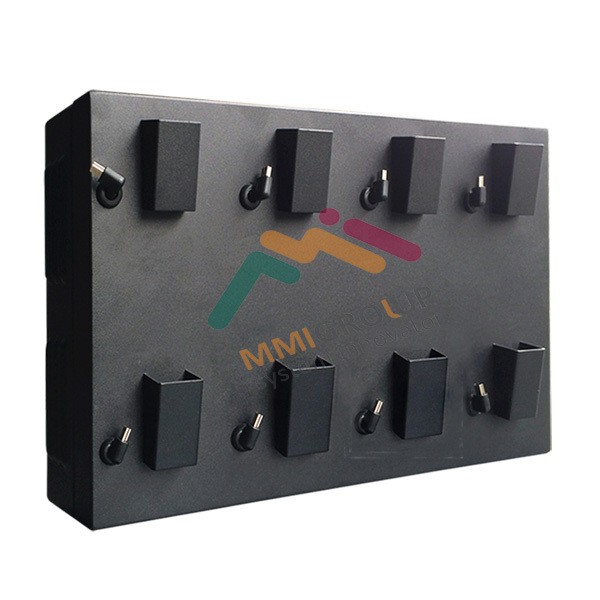 8 docks specially designed for DMT1, DMT5, DMT9, convenient and neat. 4 pads to support docking station. 7 air vents for the motherboard. Effective control from overheat. 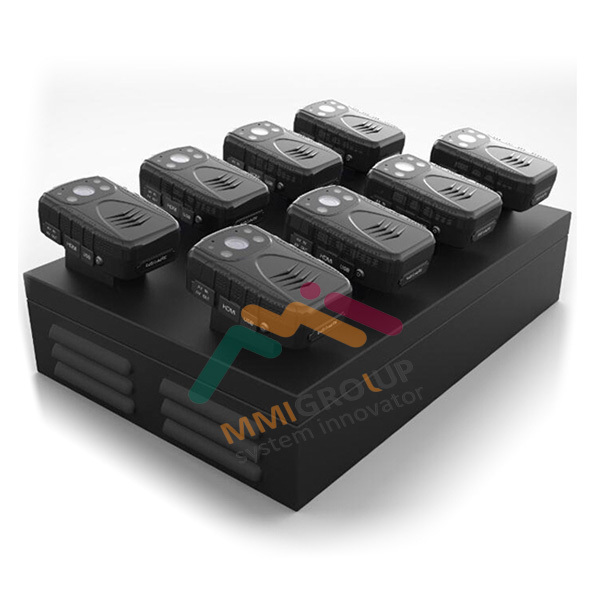 With main switch to power on/off, directly control of the 8 docks. Support Windows Vista/ 7/ 8/10.